Health conditions that commonly affect women can be overlooked in the workplace, with nutrition-related conditions key among them. But with planning, training and focus it is possible for employers to implement interventions that will make a difference, as Dr Megan Whelan outlines. Women can experience specific health-related vulnerabilities and, as such, are therefore at unique risk for various nutrition-related conditions that can affect the duration and quality of their working lives. Although women’s health is multi-faceted, requiring multidisciplinary input, nutrition has been shown to significantly influence the risk of chronic disease and can assist in maintaining good health. Some conditions commonly, or exclusively, associated with women where nutrition can play a role in effective management include menopause, pregnancy, premenstrual syndrome, polycystic ovarian syndrome, breast cancer, urinary tract infections, and eating disorders. These conditions may often be overlooked, but can have a major impact on women at work. With a female employment rate now exceeding 70% in the UK (Clegg, 2018), and most adults spending more than half of their waking hours at work (Morgan et al., 2011), the workplace provides a valuable opportunity to meet women’s health needs during her working years. 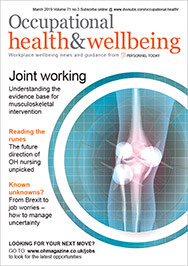 While there is currently limited research reporting on women in the workplace specifically relating to nutrition interventions, evidence supports the effectiveness of workplace health and wellbeing programmes targeting behaviour change for healthy eating (Geaney et al., 2013; Mhurchu, Aston and Jebb, 2010), physical activity (Dugdill et al., 2008; Quintiliani, Sattelmair & Sorensen, 2007), and modest weight loss outcomes (Verweij, 2011) for more general workplace populations. The consequences of poor diet and ill health can affect employers as well as employees, with evidence that nutrition interventions can support strategies to reduce sickness absence and the associated costs. Implementation of workplace wellness programmes have been shown to achieve a return on investment of $2-$6 for each $1 (approximately £1.50-£4 for each 70p) invested from healthcare cost-savings and lower absenteeism (Aldana, 2001; Baicker, Cutler and Song, 2010; Chapman, 2005; Chapman, 2012; Proper and van Mechelen, 2008). Nutrition recommendations for these conditions – whether it be choosing heart-healthy fats to address the increased risk of heart disease resulting from loss of oestrogen for menopause (National Institute for Health Care Excellence, 2016), or practising caution with food safety during pregnancy (Lamont et al., 2011; Smith, 1999) – can be challenging to achieve in the workplace. 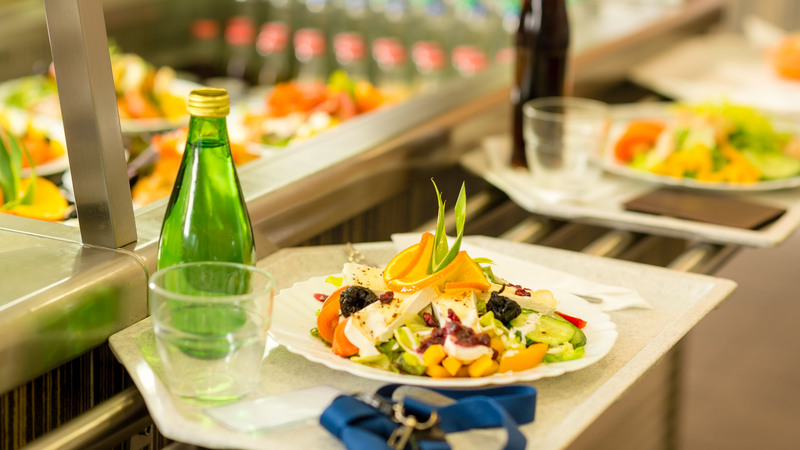 For successful interventions that facilitate healthy eating behaviours and achieving specific dietary requirements, the workplace has a responsibility to provide relevant information, and access to healthy and affordable food options. On top of this, there is a responsibility to provide opportunity for physical activity, adequate refreshment and meal breaks, cleanliness of food preparation areas, and availability and maintenance of food storage facilities. Nutrition education to support employees to manage their health can be provided in a variety of forms. Education in the form of health assessments, workshops, brochures, posters, newsletters, and web pages can be used to convey nutrition information and practical advice to promote awareness and enhance knowledge. Electronic methods are extremely useful in delivering and supporting an intervention, but can be more effective if there is also face-to-face contact (Cowbrough and Gardner, 2016). It is important to note that when looking to improve diet quality, information alone is not as effective as when used alongside environmental modification (An, 2013; Aneni et al., 2014; Geaney et al., 2013). Given that a majority of our health behaviours and choices are shaped by non-conscious interactions with our environment, be it physical, social or cultural (Hollands, Marteau and Fletcher, 2016), the environment in which we work can be adapted to have a positive impact on improving lifestyle behaviours. Employers can have a positive influence on healthy eating and meeting nutrition recommendations. Practical interventions can include improving access to healthy food choices at work through reviewing options available in vending machines, canteens and for catering services. It can also mean subsidising the cost of healthy meals, providing safe and convenient drinking water, creating dedicated lunch-breaks, providing adequate cupboard and refrigeration space for employees to store food, as well as clean and-fully equipped kitchen areas within reasonable proximity where employees are able to prepare and consume food. Dietary considerations for women’s health conditions should also be coupled with adherence to physical activity and sedentary behaviour guidelines. To support women to be physically active during the workday, employers should take a multi-faceted approach. In addition to providing education on the benefits of physical activity and practical advice on how to achieve specified guidelines, employers can organise regular events to demonstrate new activities and provide opportunity. They can also encourage incidental activity, such as stair use; they can provide or subsidise access to exercise facilities, implement policies that allow time for physical activity, and ensure adequate bike storage and shower facilities are available to encourage active transportation. Although all workplace nutrition interventions will vary depending on the context, there are certain components that have been linked to improved success of initiatives. Key aspects of effective nutrition interventions include employee involvement in conceptualisation and execution of activities, senior management support and engagement, as well as the integration of behaviour change strategies (Cowbrough and Gardner, 2016). A major barrier to food accessibility and positive eating behaviours is poor access to adequate meal breaks. A survey administered by the British Dietetics Association found that 62% of employees always or sometimes skip their lunch-break (British Dietetic Association, 2016). Taking an adequate meal-break allows an opportunity to access healthy food options. It provides time to refuel and rehydrate, and perhaps time to include some physical activity to break up a sedentary work day. Protecting meal breaks and implementing policies that enable employees to take adequate breaks throughout the working day is an important consideration to support women at work. Evaluation of workplace health and wellbeing initiatives is essential to show whether interventions have been successful by following the intended process and achieving the intended impact. This allows assessment of whether an intervention needs reviewing or to provide important information to feed back to key stakeholders and enable further initiatives to take place. When designing an evaluation, the most important principle is to ensure that outcome measures focus on the intended intervention objectives, ensuring they will measure whether these have been achieved. Evaluation measures should be decided at the initial planning stage when the overall aim and objectives of an intervention are set. They should be valid and reliable, as well as easy to use and analyse. It is important to report what did not work as intended as well as what did to assist with adaptation and improvements to subsequent interventions. Often the health conditions that commonly affect women can be highly sensitive and overlooked in the workplace. Protocols and procedures are required to create awareness and understanding, and provide the necessary support. Interventions should be tailored to the particular demographic with a comprehensive and multi-faceted approach, and employees should always be involved in the planning and execution of health interventions. For employers and health professionals looking for more information on nutrition interventions and resources for the workplace, a good port of call is to visit The British Dietetic Association’s “Work Ready” portal. Aldana, S.G. (2001) Financial impact of health promotion programs: a comprehensive review of the literature. American Journal of Health Promotion. 15(5), 296–320. An, R. (2013) Effectiveness of subsidies in promoting healthy food purchases and consumption: a review of field experiments. Public Health Nutrition. 16(7), 1215-28. Baicker, K., Cutler, D., and Song, Z. (2010) Workplace Wellness Programs Can Generate Savings. Health Affairs. 29(2), 304-11. Chapman, L. S. (2005) Meta-evaluation of Worksite Health Promotion economic return studies. American Journal of Health Promotion. 19(6), 1–11. Cowbrough, K., & Gardner, E. (2016) Nutrition at Work: Nutrition interventions in workplace health programmes: a literature review. Occupational Health at Work. 13, 30-36. Dugdill, L., Brettle, A., Hulme, C., McCluskey, S., Long, A.F. (2008) Workplace physical activity interventions: A systematic review. International Journal of Workplace Health Management. 1(1), 20–40. Geaney, F., Kelly, C., Greiner, B.A., Harrington, J.M., Perry, I.J., Beirne, P. (2013) The effectiveness of workplace dietary modification interventions: a systematic review. Preventative Medicine. 57 (5), 438-47. Hollands, G. J., Marteau, T.M., and Fletcher, P.C. (2016) Non-conscious processes in changing health-related behaviour : a conceptual analysis and framework. Health Psychology Review. 10 (4), 381-394. Mhurchu, C.N., Aston, L.M., Jebb, S.A. (2010) Effects of worksite health promotion interventions on employee diets: a systematic review. BMC Public Health. 10, 62. Morgan, P.J., Collins, C.E., Plotnikoff, R.C., Cook, A.T., Berthon, B, Mitchell, S., Callister, R. (2011) Efficacy of a workplace-based weight loss program for overweight male shift workers: The Workplace POWER (Preventing Obesity Without Eating like a Rabbit) randomized controlled trial. Preventative Medicine. 52, 317–325. Verweij, L. M., Coffeng, J., van Mechelen, W., and Proper, K.I. (2011) Meta-analyses of workplace physical activity and dietary behaviour interventions on weight outcomes. Obesity Reviews. 12, 406–429.